Another well-talked about green car making headlines this week besides the Toyota Prius is the upcoming Chevy Volt from GM. It was announced at the Los Angeles Auto Show that this electric vehicle with extended range capability will be available late next year in California, with other markets to be named later. 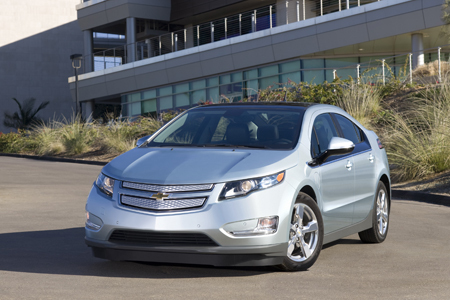 The 2011 Chevy Volt is being dropped into California early because, among other reasons, this state has been a workhorse in moving to establish a grid infrastructure which will support electric vehicles. Chevy says is working “with three California utilities and the Electric Power Research Institute (EPRI) as part of an extended, real-world demonstration and research program to introduce customers to electric vehicles, advance vehicle electrification and establish vehicle charging programs to pave the way for consumers.” This program includes distributing over 100 Volts to test drivers as well as helping to build out more than 500 charging stations for residential, business and public use around the state.